Worn by Plains warriors for hundreds of years, breastplates are made from a variety of materials including bone hair-pipe, deer hide and glass beads. 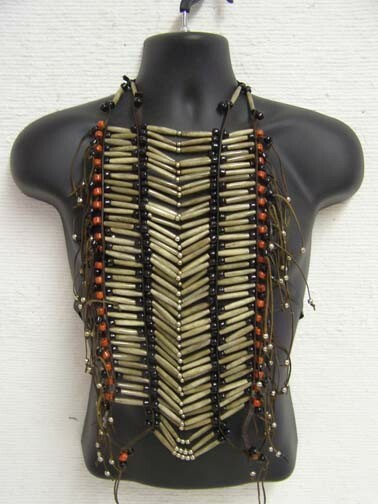 Originally used as protection against arrows and spears in battle, breastplates continued to by worn by Native Americans in battle even after bullets were introduced and they no longer provided physical protection against the enemy. This is because the breastplates provided m uch more than just a layer of defense against spears and arrows in battle. They also provided spiritual protection to the men who wore them, giving a sense of strength and security to them as they fought for their tribes. The decorations on each particular breastplate are deeply meaningful to its owner and often include feathers, quills, handmade beads and mirrors. The hair-pipe bones that make up the majority of the breastplate were traditionally made from the bones of a buffalo, difficult to obtain and thus symbols of capability. Oftentimes, the wealth and strength of a warrior could be determined by the number of hair-pipe bones that made up his breastplate, as well as the particular items it was adorned with. Nowadays, breastplates are worn during ceremonial events and displayed as decorative pieces in the home. Kachina House offers a wide variety of Native American arts, crafts and clothing items to individuals interested in adding a piece of history to their homes. Our shop even has Native American breastplates and the chokers that were worn with them for sale. 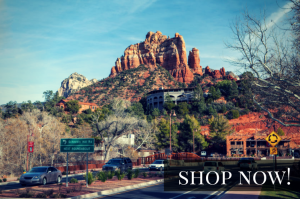 Click here to browse our selection of breastplates and chokers, or call our Sedona, Arizona shop at 866-587-0547 for assistance finding a particular piece.